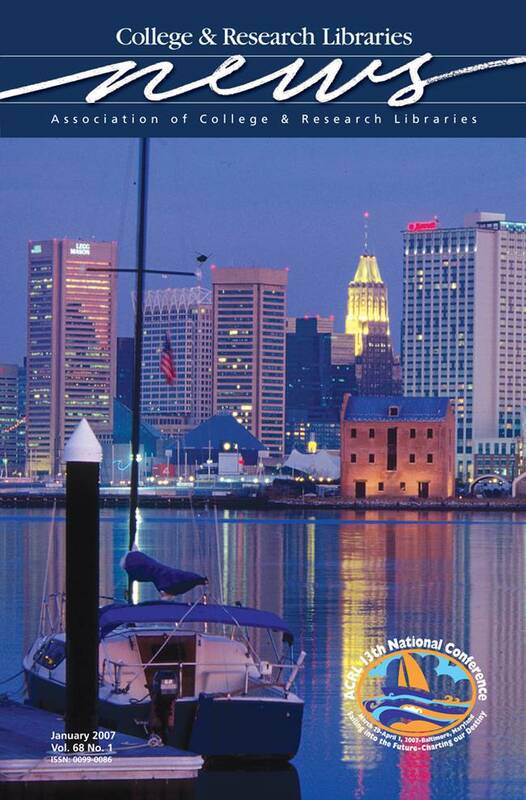 ACRL invites you to join us in Baltimore, March 29–April 1, 2007, for our 13th National Conference, “Sailing into the Future—Charting Our Destiny.” Take a step back from your everyday work to explore the major issues, challenges, and opportunities facing academic and research librarianship. Attend stimulating, peer-reviewed programs that reflect the dynamics and diversity of our profession. See the preliminary program in this issue for complete details about the more than 250 programs that will be offered at the conference and for complete details and registration materials. Be sure to bookmark www.acrl.org/baltimore!